The main edition of the newspaper in digital form is available Monday through Thursday. A combined Weekend Edition for Europe and Pacific is published on Fridays, and a Middle East-only edition is posted Friday through Sunday. 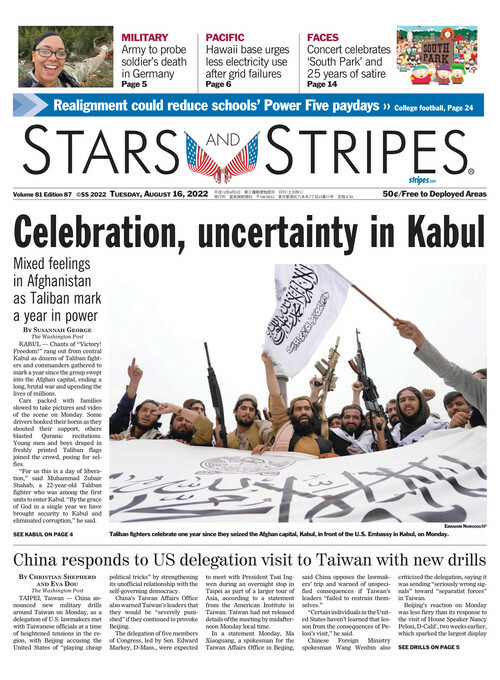 The digital version of Stars and Stripes print edition lets you flip through pages, search for stories, and even print a copy — all without waiting for a lengthy download. Select a cover to view the current edition. To view past editions, select "Previous Issues." Having difficulty accessing the ePaper Editions? Let us know.